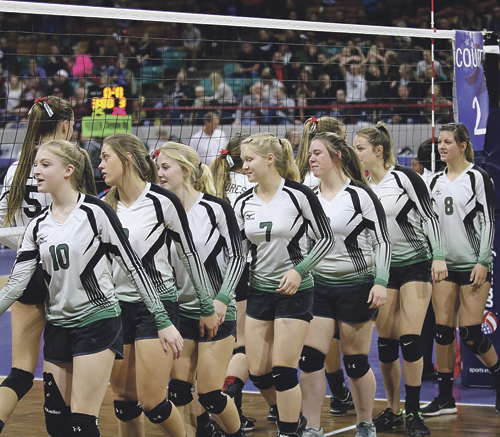 The Rangely volleyball team shook hands with Dolores players after the Panthers beat the Bears in the final match of the season for both teams in the 2A Colorado State Volleyball Championships last weekend in the Denver Coliseum. The Panthers build on season where they won 22 matches, a regional title and opportunity to play in the Big Show for the first time in seven years. “I’m excited to see how we grow,” head coach Marybel Cox said.